I like to read Christmas-themed mysteries at Christmas & I planned to read Envious Casca last Christmas. However, I didn't get to it, I read J Jefferson Farjeon's Mystery in White instead. I'm not sure what made me pick up Envious Casca last week & make it my lunchtime book, but I did. It's a well-plotted murder mystery with the requisite nasty victim & cast of plausible suspects & I enjoyed it very much. Nathaniel Herriard is a rich but miserable man. He lives at Lexham Manor with his brother, Joseph & his wife, Maud. Joseph is an out-of-work actor who loves to talk about his great roles but was really only ever a character actor. Maud is quiet & colourless, her only enthusiasm is her love of reading royal biographies, the more romantic & tragic the life, the more she enjoys it. Joseph has decided to bring the family together for Christmas, against Nathaniel's wishes as he hates Christmas. Nat & Joseph's nephew, Stephen & his sister, Paula are invited. Stephen is presumed to be his uncle's heir but the two have an abrasive relationship. Stephen has just become engaged to pretty, empty-headed Valerie Dean, a young woman that Nat has taken an instant dislike to. Paula is an actress & is desperate to borrow money from her uncle to put on a play written by Willoughby Roydon, a young man who writes serious plays about the sordid underbelly of modern life. Unsurprisingly none of his plays have been produced. Paula is excited about his new play because he's written a perfect part for herself. Nat's business partner, Edgar Mottisfont & Mathilda Clare, a cousin of the Herriads, make up the party. Despite Joseph's desire to keep the party on an even keel, the cracks soon begin to appear. The guests arrive on Christmas Eve &, almost immediately, Nathaniel is rude to Valerie, who dislikes the house & its atmosphere. Stephen seems to be having second thoughts about his engagement anyway as he's rude to Valerie & abrasive with his uncle. Paula pushes everyone into hearing Roydon read his play & is then upset when Nathaniel is offended by the content. It seems it won't be so easy to get the money from Nathaniel & Roydon is upset because Paula had told him she would get the money as her inheritance so why shouldn't she have it now? Unfortunately she hadn't taken her uncle's disposition into account. Nathaniel has a meeting with Edgar Mottisfont which leaves Edgar furious & frightened. Then, Maud's copy of The Life of the Empress Elizabeth goes missing & Joseph & Mathilda have a hard time keeping the peace. When the party assemble for dinner on Christmas Eve, they're all upset or angry to some degree. When Nathaniel doesn't appear, Joseph & Ford, the valet, go up to his room. The door's locked &, after calling Stephen to help, they break in, finding Nathaniel dead on the floor. It soon becomes apparent that he's been stabbed in the back. However, the door & windows were all locked &, apart from a tiny window in the bathroom, there seems no way a murderer could have escaped. The local police are called & then Inspector Hemingway of Scotland Yard arrives to take over the baffling case. Envious Casca is a very good mystery, with almost everyone in the house party having a motive. As Inspector Hemingway puts it, "Here I've got no fewer than four hot suspects, and three possibles, all without alibis, and most of them with life-size motives, and I'm damned if I see my way to bringing it home to any of them." The locked room & the absence of a weapon is another twist in the tale. None of the house guests is particularly sympathetic, although I did like Mathilda Clare, a plain (or ugly, as Valerie Dean keeps emphasizing) thirtyish spinster with a dry sense of humour. I got to the solution ahead of the detectives but it was more to do with my knowledge of history than spotting any other clues. 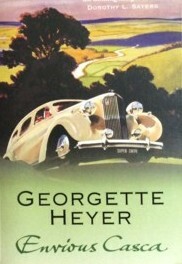 I liked Inspector Hemingway, he's intelligent & clever at choosing the right manner when questioning his suspects, from flirting with Valerie Dean to refusing to take umbrage when the very superior butler Sturry (who tends to speak in Capital Letters) turns his nose up at the police & sees the murder as a personal affront. According to Jennifer Kloester's biography of Heyer, she had a very hard time writing the book, which was originally called Christmas Party. It was 1940, her brother-in-law was killed in action in May & she was upset & preoccupied by the news of the war. She had also just published The Spanish Bride & was worried by the opinion of some readers (including her mother) that her regular readers wouldn't enjoy it as much as her usual, lighter, books. She also felt that the subject matter - another European war, even though it was over a hundred years earlier - was ill-timed. Every time she tried to work on the mystery, she wanted to be writing a light romance instead. 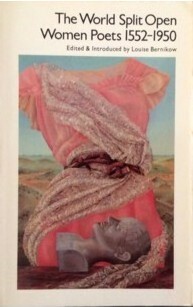 I also loved the anecdote in the biography that, after trying various titles for the book, she thought that Envious Casca would be a good title & assumed that everyone would recognize the allusion to Shakespeare's Julius Caesar & not be too annoyed that the number of stab wounds in the murders was different. Envious Casca is about to be reprinted with the original title, A Christmas Party, in time for Christmas this year. I think there's also a nod to the very successful British Library Crime Classics in the cover art of the reprint. The BLCC series has a new Christmas book out as well, a collection of short stories, Silent Nights, selected by Martin Edwards. My copy is on its way. There's also a reprint of an earlier BLCC title, The Santa Klaus Murder, with a new cover (a great improvement on the hideous cover it had when first published a few years ago). I doubt the British Library Crime Classics would be so successful if they hadn't come up with that gorgeous cover art based on railway posters. All the earlier titles have been reprinted with covers in this style & I'm sure their sales must have improved. A copy of Envious Casca is available at Anglophile Books. Each chapter in Vera Brittain's Testament of Friendship is prefaced with one of Winifred's poems. I especially like this one, The Harvest at Anlaby. It explores the history of the Yorkshire country that Winifred knew & loved & the continuity of rural life. It reminds me a little of Edward Thomas's poems of the English countryside. Tuesday is the 80th anniversary of Winifred Holtby's death so this is in remembrance of her. Who gather in the glowing gold. When moths awake and small owls cry. And glimmer as they wander by. A few weeks ago I read John Forster's biography of Charles Dickens & one of the things I loved most about it was that Forster & Dickens were friends & he brought all his personal knowledge of Dickens to the biography. Vera Brittain's biography of Winifred Holtby is also the story of their friendship. I first read this book over 20 years ago &, as it's 80 years since the death of Holtby this month, I wanted to read it again. Winifred was born in 1898, the daughter of a farming family in Yorkshire. Her schooldays were unremarkable, the most memorable event was being caught up in the Zeppelin raid over Scarborough during the War. Her family life was happy. Her father, David, ran the farm & her mother, Alice, eventually became the first female County Councilor in the East Riding, an achievement Winifred was very proud of. She based Mrs Beddows in her novel South Riding on her mother. In the last year of the War, Winifred joined the WAACs & helped to run a hostel in France for a Signals unit. It was at Huchenneville that she met her lifelong friend Jean McWilliam. Jean later emigrated to South Africa & their correspondence was published as Letters to a Friend. Vera & Winifred met at Oxford after WWI. On the surface, they were unlikely friends. Vera had nursed throughout the War, had lost her fiancé, her brother & two close friends. She returned to Oxford bruised & exhausted by her experiences. Winifred's war had been quite different. Too young to join up until almost the end, she had lost no one close to her. Physically they were quite different. Winifred was tall, blonde, gregarious & outgoing. Vera was small, dark, pretty & intense. They first met during History tutorials & clashed over a debate where Vera felt ambushed by Winifred & the other students who hadn't suffered as she had done. Eventually though, they became friends &, when they graduated, decided to live together in London to pursue their dream of becoming writers. Winifred's first novel, Anderby Wold, was accepted for publication & she was also in demand as a teacher. She was careful never to accept a full-time teaching post because she knew that writing & journalism was what she wanted to do. Vera & Winifred also became involved in the League of Nations Union (the precursor of the United Nations) & did a lot of lecturing for the cause of peace in Europe. Winifred's life was so full of commitments that it's exhausting to read. She became involved in encouraging Trade Unionism in South Africa after she spent five months touring & lecturing there; she wrote for the feminist journal, Time and Tide, & became a member of the Board; she continued tutoring & lecturing for the causes of peace & feminism that she felt so strongly about & she kept writing fiction. She was always disappointed in the results because she felt she was never able to satisfactorily carry out her original inspiration. Winifred also spent a considerable amount of time supporting friends & family. She was an integral part of the household when Vera married Gordon Catlin in 1925 & helped to look after the children & encourage Vera in her work, especially when she was writing Testament of Youth. Family responsibilities also took her back to Yorkshire & she supported many friends both emotionally & financially when she could. She was always in demand as a lecturer & reviewer & her own needs often took second place. When she was at Oxford, so many friends came to her rooms to talk about their problems or just as a meeting place that she often had to go to the library to study, leaving them in possession. This exemplifies Winifred's unselfishness but also highlights one of the downsides of her nature. She was so busy supporting other people that her own needs often went unrecognised. She had never been strong & when her health began to fail, she was eventually diagnosed with kidney disease. She died in September 1935 at the age of just 37. Testament of Friendship is such an interesting book on many levels. On one level, it's the story of a woman who was loved by everyone, almost a saint in her unselfish devotion to other people. 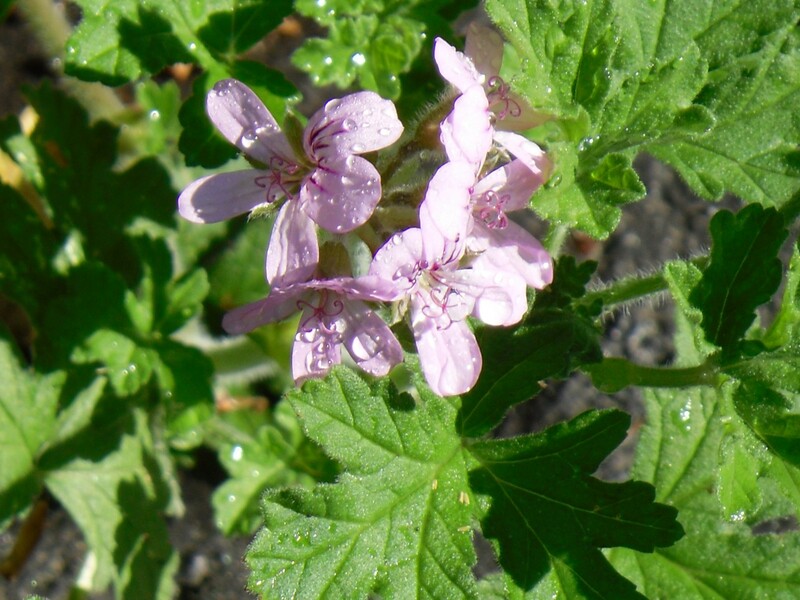 It's the story of a life cut short by illness & of potential unrealized. On another level, this is as much a book about Vera as it is about Winifred. Even the title of the book links it to her own Testament of Youth. Vera's motives for writing the book have been much analysed. She states in the Prologue that she wanted to write a book about female friendship, a relationship that has not been celebrated as male friendship has been through the centuries. She wanted to celebrate a friendship that had saved her sanity after the losses of the War & maybe wanted to atone for her own feelings of guilt over taking advantage of Winifred's good nature. There's definitely an element of guilt here but there's also a feeling of proprietorship over Winifred's life that upset Alice Holtby & Winifred's other friends. Vera was Winifred's literary executor & saw South Riding through the Press after her death, even though Mrs Holtby didn't want it published. Vera even gave Winifred a love story, a romance that, in reality, was so tenuous as to hardly exist. Was this because she wanted to show that Winifred had been a "normal" woman (far from the rumours of lesbianism & ménage a trois that circulated about Winifred, Vera & Gordon) or was it from a feeling of guilt that the demands of Vera, her family & friends prevented Winifred ever having time for a life of her own? 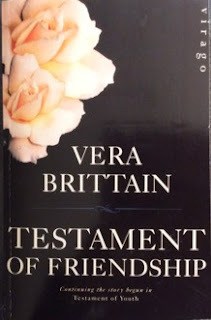 After reading Testament of Friendship, I went back to Vera's diaries of the 1930s (published as Chronicle of Friendship) & read the entries for Winifred's last days. I was astonished all over again at how Vera stage-managed a death-bed proposal of marriage from the man she calls Bill in the biography at a time when Winifred was so ill that she could hardly see or recognize anyone. In the biography, this is presented as the touching end to a lifelong romance. I loved the way the book opens, with a conscious imitation of the way Elizabeth Gaskell begins her Life of Charlotte Brontë. The pilgrimage to a Yorkshire village, recreating the steps of the literary pilgrim through the village to the churchyard where Winifred's grave lies. It's a beautiful piece of writing, the descriptions of nature & the countryside are just gorgeous & she ends with a description of the grave & the explicit comparison of Winifred with Charlotte Brontë. When I reread Testament of Youth earlier this year I noticed how often Vera prefigures the end of her story all the way through. She does this again here. I also loved all the details of Winifred's journalistic career & her work with Lady Rhondda, owner of Time and Tide. The quotations from Winifred's letters bring her to life with all her good humour & self-deprecation. One of the lingering questions in a biography of a woman who died so young is, what might she have done differently if she'd known that she would die at 37? Would she have concentrated on her fiction? Would she have been more ruthless about the encroachments of others? Somehow I don't think she would. She was ill for several years before her death &, apart from her determination to finish South Riding, she kept on as she always had - supporting her friends, even going on holiday with Vera & her children when she was obviously not well so that Vera would be able to keep believing that she would recover. Testament of Friendship isn't the whole story of Winifred Holtby (Marion Shaw's The Clear Stream is an excellent modern biography) just as Forster's Life of Dickens isn't the whole story of Charles Dickens. Both books, however, are invaluable for the personal insights they give into the lives of their subjects. Copies of many of the books mentioned in this post can be found at Anglophile Books. There are a couple of poems by Millay in the anthology &, even though I posted several of her poems earlier in the year, I can't resist just one more. This is Sonnet XXXI, published in the collection The Harp-Weaver in 1923. I love the threat in that last line. I hadn't heard of Eleanor Wylie (1885-1928) until I came across her in this anthology but she was a friend of Edna St Vincent Millay, who I was reading earlier this year. She also caused quite a scandal by leaving her husband & children to elope with an older married man. She & Horace Wylie went to England where Elinor began to write poetry. She was in her mid-thirties when her first book of poetry, Nets to Catch the Wind, was published. I am in nature none of these. I don't think I read any of L M Montgomery's books when I was a child. I remember enjoying the TV adaptation of Anne of Green Gables & I may have read the book afterwards but it was Montgomery's Journals that were my first real exposure to her work. I borrowed them all through ILL & was amazed at the difference between Maud's often unhappy life & the sunny atmosphere of her novels. This biography, by one of the editors of the Journals, reinforces that impression. It's an excellent, if often harrowing, read. Maud was brought up by her maternal grandparents on Prince Edward Island, the famous setting for her most loved books.Her mother died when Maud was only a small child & her father left the Island & eventually remarried. Maud's grandmother was a sympathetic but conventional woman; her grandfather was stern & very dismissive of the ambitions & dreams of a mere girl. Maud had to struggle for her education & she used her journals as an escape from her life when it became difficult. Eventually she became a teacher & began writing stories & poetry which she sold to newspapers. Her emotional life was difficult. She was bright, vivacious & talented at recitation & story telling. She was also very conscious of the downside of living in a small community where gossip could be deadly. Her grandfather's sarcasm at her ambition or her presumption in "putting herself forward" had the ability to dampen Maud's spirits. Maud had to contend with intrusive talk about her prospects as she grew older & was still unmarried. Her Journals describe a passionate relationship with a young man, Herman Leard, with whose family she boarded when she worked as a teacher. This secret relationship was vividly described in the Journals but Maud never mentions the fact that Herman was engaged to another girl at the time. How much was true & how much was romantic imagination? One of the most fascinating things about the biography is in exploring the truth of the Journals. Maud rewrote them years after the events were originally described & Rubio explores not only the accounts in the Journals but also what she discovered in the process of editing & publishing the Journals in the 1980s. She was able to interview many people who were mentioned in the Journals & it's often amazing to see the differences between the way Maud records an incident & how others viewed it. Nowhere is this disconnect between Maud's reality & what others remembered than in her account of her marriage. Maud married Reverend Ewan Macdonald when she was in her thirties. Ewan was an Islander, like Maud, & they were secretly engaged for five years before marrying in 1911. Ewan was a good man, kindly & caring to his parishioners. Unfortunately he suffered from depression & the social stigma of any kind of mental illness combined with the medications he took to relieve his symptoms, made his life a misery for much of their marriage. Both Ewan & Maud seem to have been severely over-medicated for much of their lives. Ewan saw doctors who prescribed bromides & sedatives but he was also self-medicating with other over-the-counter medicines while Maud often dosed him with her homemade wine or brandy. The strain of parish work in small communities, "keeping up appearances", & later problems with their eldest son, Chester, played on Maud's nerves & led to her taking all kinds of medication. She often seems to be on the verge of a complete nervous collapse. Maud's Journals portray all this in great detail but she was also able to put on such a good face to neighbours & parishioners that many people who knew the Macdonalds in their parishes in Norval & Toronto were amazed when they read the Journals. Even their maids, who lived with the family, were shocked to discover what Maud had written. They were also shocked by Maud's caustic opinions about many of the people she knew in her daily life. I found the description of Maud's literary career especially interesting. The success of Anne of Green Gables was enormous & laid the foundation for Maud's career. The financial rewards compensated for Ewan's lacklustre career & Maud certainly enjoyed her fame. Sometimes the effects were two-edged, as when the success of her books led to such an increase of tourists making the pilgrimage to PEI that Maud could no longer relax when she went home. I also couldn't help wondering how Ewan felt about his wife's career & whether the humiliation of being sidelined, both financially & emotionally, may have contributed to his depression. As Rubio writes at the end of the book, we only have Maud's side of the story so Ewan's story will never be told. Maud's lawsuits with an unscrupulous publisher dragged on for years & she felt stifled by the demands of her public for stories with happy endings. Her popularity did her no favours with the literary critics, nearly all of them men. Although Maud worked hard to promote Canadian literature & help young authors, her books were sneered at by male critics who relegated her to the lowly status of an author of children's books & romances. 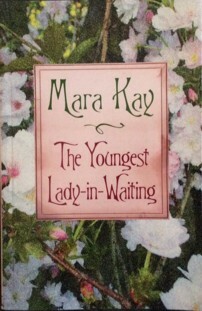 Even her later books, such as A Tangled Web, which she intended for an adult audience, were invariably shelved with the children's books in libraries & bookshops. Mary Henley Rubio's biography is the product of many years research & the thoroughness of that research is evident on every page. When I was reading the Journals, especially the final one, I can remember having to put the book down several times & read something light because Maud's final years were just so grim. I felt the same way when reading this biography. The contrast between the sunny skies of her novels & the storms & dramas of her life is so great that it was useful to be able to look at it from the outside with the perspective of a biographer rather than to be inside the maelstrom with Maud as it often felt when reading the Journals. Reading the biography has also made me want to read more of the fiction. Last year, I read Jane of Lantern Hill & Rilla of Ingleside when they were reprinted by Virago & I have the Emily books & A Tangled Web on the tbr shelves. Sara Teasdale (1884-1933) was brought up in a very genteel turn of the century milieu & was influenced by Christina Rossetti, one of my favourite poets. Unfortunately as her poetry grew less genteel, her audience faded. I like this short poem, Central Park at Dusk, about the beginning of Spring as Melbourne is just leaving Winter behind at the moment. 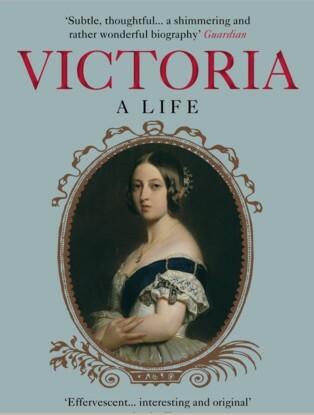 The life of Queen Victoria is very well-known & I've read many books about her. I've read biographies, her letters to her daughter, biographies of her children, her servants, her Prime Ministers, her ancestors & books on many aspects of the Victorian period. So, another biography of Queen Victoria & especially a biography I listened to on audio for almost 20 hours, has to be fresh & different to engage my attention. Instead of retelling the story of the book, I thought I'd concentrate on what makes this biography different from the others I've read over the years. First of all, it's the writing style & the persona of the author. A N Wilson is a distinguished biographer & novelist. I've read several of his biographies & non-fiction books & enjoyed them all. I have his massive biography of Tolstoy on the tbr shelves & I've just bought the audio book version on Audible so I may listen rather than read as the book has been there for many years. Wilson's style is amused, sympathetic, almost confiding. He obviously felt considerable affection for Victoria & he delights in quoting her most unreasonable comments from her letters. This isn't done in a mean-spirited way, as though he's showing how ridiculous she was, but as a way of showing how human she was, as inconsistent as any other person. He shows the Queen in all her contradictory moods. He also emphasizes parts of her character & personality that haven't been emphasized enough. The importance of the Queen's German heritage is a major theme of Wilson's biography. Victoria was three-quarters German, after all. Her paternal grandmother, Queen Charlotte, was a Princess of Mecklenburg-Strelitz & her mother, Victoire of Saxe-Coburg was also German. She married Albert, nephew of Victoire, & her closest advisors in her girlhood & the first years of her reign were Baroness Lehzen, her governess, & Baron Stockmar, Albert's friend & advisor who became hers as well. She spoke German as easily as she did English &, when she was especially agitated or excited, her written English took on the grammatical constructions of German. Prince Albert's dream of a liberal German state headed by Prussia was also Victoria's dream. Victoria wasn't very interested in European politics early in her reign but, especially after Albert's death in 1861, as her children married into European royal houses, she grew more involved & more determined to do what she could to realise that vision. Her role as Grandmother of Europe allowed her to interfere in everything from the marriages of her grandchildren to whether or not a particular member of a German royal house should accept the crown of Greece. Wilson also disputes the extent to which Victoria withdrew from public affairs in the years after Albert's death. She certainly suffered from extreme grief & depression in the 1860s & she shrank from public engagements & speeches because of her shyness. However, she didn't neglect her role as constitutional monarch & demanded to be kept up to date on all political matters - even if that meant that her ministers had to travel to Osborne or Balmoral to consult her & keep her informed. She could be stubborn & unreasonable but she had been well-trained by Albert & Stockmar in the duties of a monarch & she was determined to be involved in everything that concerned Britain & the Empire. Victoria's relationships with her Highland servant, John Brown & her Indian secretary, Hafiz Abdul Karim, known as the Munshi have always been controversial. One of Victoria's most endearing qualities was her lack of racism or prejudice, her "lack of side" as Wilson calls it. She felt completely at home among her Scottish subjects, especially Highlanders, & she was fascinated by India. Her title of Empress of India may have been a bit of a joke to some politicians & critics but Victoria was proud of her connection with India & its people. Whether she was ever actually married to John Brown will probably never be known. Wilson sets out the anecdotal evidence for & against. I've always thought they had a genuine friendship. Victoria enjoyed being looked after & cared for & Brown was devoted to her care. He wasn't cowed by her & spoke his mind, which she enjoyed. The Munshi was a more shadowy character. He taught Victoria Hindustani & was given access to documents that he probably should never have seen but he came to symbolise India to the Queen & she refused to believe the stories about his disreputable conduct & dubious associates. The more her children, servants & ministers tried to remove Brown & the Munshi, the more Victoria clung to them. I enjoyed reading about the Queen's sometimes volatile relationships with her Prime Ministers & her controlling, sometimes truly deplorable behaviour to her children. She could be selfish, unreasonable, petty & ungracious (her last audience with Gladstone is an example of just how ungracious she could be) but I find her completely fascinating. 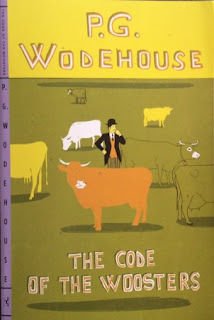 A N Wilson's biography is a joy to read & I really enjoyed Gareth Armstrong's reading of it. If you think you've read enough biographies of Queen Victoria, maybe you should read (or listen to) just one more.